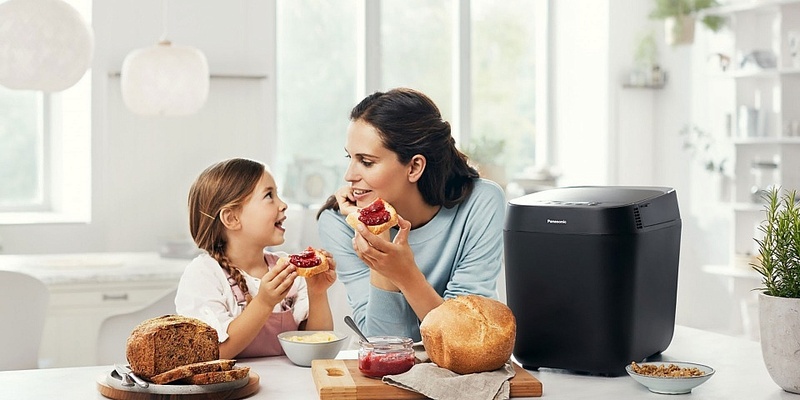 Panasonic claims that the Croustina Hard Crust automatic bread maker can rustle up freshly baked artisan loaves, just like the ones at your local bakery. We tried it out to find out if its innovative kneading technology really does make mouth-watering crusty bread. The Croustina has a unique oval-shaped bread pan and makes bakery-style rounded bread, instead of the usual rectangular loaf you get from other bread makers. Panasonic says this shape optimises the cooking process, too, resulting in a crustier crust and a soft, tasty interior. At £240, it’s at the top end price-wise for a bread maker, so can it really rival your local artisan baker? Read our Panasonic Croustina first look review to get our initial verdict. Panasonic Croustina SD-ZP2000KXC: how is it different? The Croustina is the first bread maker designed to make traditional-style bread with a hard crust. Most bread makers make loaves with a thinner and softer crust than the thick, chewy, satisfying creations you’ll find in a bakery, or the baker’s corner of your local supermarket. The oval-shaped tin gives a more pleasing shape than a typical bread maker, too. Panasonic says it has spent a lot of time designing the tin so the shape and position of the blades – and the special ridges on the side of the tin – replicate the kneading action of traditional bread making, for a more authentic result. Temperature sensors in the machine monitor the internal temperature and outside room temperature, adjusting cooking times accordingly, which should help you to get more consistent cooking results whether it’s a cool winter’s day or the height of summer. Like most bread makers, the Croustina has a variety of different programs to choose from –from pizza dough to gluten-free bread and cakes. 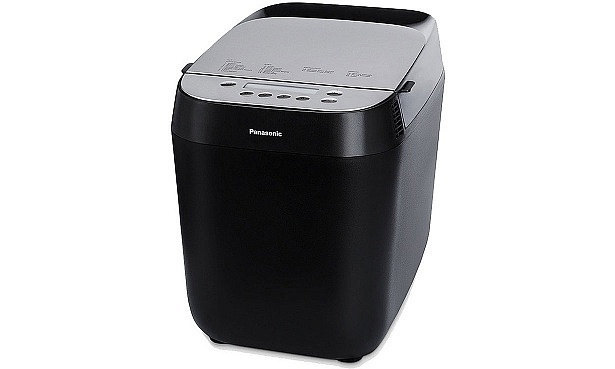 However, you’ll get fewer settings than on some other premium Panasonic models, such as the Panasonic SDZB2502 bread maker (£120). Ironically, there’s no setting for specialist loaves of the like you’d normally pick up in the bakery section, such as sourdough, rye and rustic artisan bread. Although, the main settings on this model are, of course, for hard-crust, artisan-style oval loaves. The maximum loaf size of 590g is smaller than other Panasonic bread makers, too. And there’s no automatic fruit and nut dispenser. So if you want a tasty raisin loaf, you’ll need to listen out for the beeping sound which alerts you when it’s time to add in extra ingredients. You might be happy to sacrifice these features for the joy of an authentic artisan-style loaf served ready and warm for breakfast, though. Read the full Croustina first look review to find out whether the bread it made impressed in our tryout, and get our verdict on alternative models by checking our Panasonic bread maker reviews. 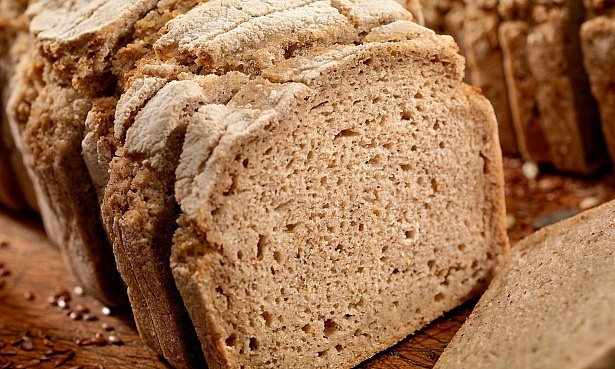 Morphy Richards Homebake: great bread on a budget? 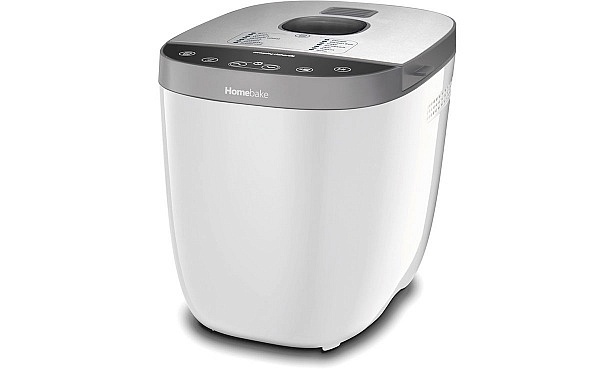 At just £70, the Morphy Richards Homebake is a tempting prospect if you’re after a cheap bread maker. It has 14 different settings, making everything from standard loaves to pizza dough and even jam. There are even gluten-free, fast-bake and delay timer settings, handy if you need to make bread for those on specialist diets, or want bread on the table double-quick – or ready for when you wake up in the morning. There are two loaf sizes: 680g and 907g, so it’s good if you have plenty of people to feed too. But can it make tasty loaves for less? Find out what we thought of this model in the full Morphy Richards Homebake first look review. You can also get our overall verdict on whether Morphy Richards bread makers are worth buying in our Morphy Richards bread maker buying guide. What makes a bread maker worth buying? We’ve seen big differences between models. If we’ve made it a Best Buy, you can be confident that you’ll be getting delicious white and wholemeal loaves that are well-risen with a nice even crust. However, some bread makers really struggle to bake a decent loaf. From deformed loaves with caved-in tops, to sunken breads with dense, doughy textures, large holes, unmixed ingredients and knobbly, thick, burnt crusts, we’ve seen some truly uninspiring creations. Avoid the disappointing loaves – check out our top picks in our round-up of Best Buy bread makers. Bread-making settings Are you happy with white and wholemeal, or do you want the freedom to make more exciting loaves? Check the range of settings available, but don’t get swayed by ones you’re unlikely to use. Kneading paddle Some bread makers have a paddle that is prone to sticking, leaving giant holes in your loaf that will mean sandwich-making is out of the question. We rate each model on this, so look for one with four stars or more. Size Your bread maker will probably need a permanent home on your kitchen counter, so think about where you’ll want to keep it, whether your chosen model will fit comfortably there and if the lead will reach the nearest plug point. Capacity Some models give you more options than others. Check you can make a loaf big enough for your household and how long it takes to cook, so you aren’t caught short. Rapid-bake settings can product hit-or-miss results, so check our reviews for the best models if you need bread in a hurry. Weight If you’ll need to move it around a lot and pull it away from its usual spot, you might want to go for a lighter model weighing less than 5kg. Viewing window and control panel A viewing window can be useful for allowing you to check that everything’s running smoothly without disturbing the process. And controls that show at-a-glance how long you have left to wait are handy for keeping track of progress. For more advice on choosing the best bread maker for your needs, read our full bread maker buying guide.